A system by which the camera lens automatically focuses on a selected part of the subject. Automatic gain control (AGC) is a controlling algorithm that automatically adjusts the gain and offset, resulting into a visually pleasing and stable image. The incoming signal level for a visual camera can change rapidly, for example when the sun disappears behind a cloud. For a thermal camera, the corresponding rapid change could be something cold or hot entering the scene, the latter being a truck engine. By deploying different AGC techniques, both rapid and slow scene changes can be controlled so that the resulting image is as optimized as possible regarding brightness, contrast and other image-quality properties. AGC (Automatic gain control) also controls whether the output mapping from the sensor’s 14-bit signal level to the 8-bit image is done linearly or by using a histogram-equalization curve. Histogram equalization redistributes the incoming signal levels, resulting in better image contrast. For example, in a scene with a big flat background and one small but very warm object, a linear curve would waste signal levels that are between the object and the background. The histogram equalization ensures that the signal levels are only spent on the background and the objects (and not on levels in between). In Axis’ thermal cameras, the default mode is a dynamic histogram equalization that varies the amount of equalization done depending on the incoming signal. In low-signal scenes, the resulting curve is almost linear, while in high-contrast scenes a lot of equalization is done. This means that the camera benefits from equalization in scenes wherever possible, and when there is only noise to enhance no equalization is done. This protocol is used to associate an IP address to a hardware MAC address. A request is broadcast on the local network to discover the MAC address for an IP address. A chip designed by Axis for image compression. ARTPEC with associated software supports a range of CCD and CMOS sensors, built-in functionality for sharpening, backlight compensation, noise reduction and white balance, support for multiple Motion-JPEG streams, support for MPEG-4 part 2, up to 30 frames/second from 4 simultaneous video sources and real-time compression of up to 45 Megapixels/second. A circuit designed for a specific application, as opposed to a general purpose circuit, such as a microprocessor. A video format that supports simultaneous playback of audio and video. A bitmap is a data file representing a rectangular grid of pixels. It defines a display space and color for each pixel (or “bit”) in the display space. This type of image is known as a “raster graphic.” GIF’s and JPEG’s are examples of image file types that contain bitmaps. Because a bitmap uses this fixed raster method, it cannot easily be rescaled without losing definition. Conversely, a vector graphic image uses geometrical shapes to represent the image, and can thus be quickly rescaled. A protocol that can automatically configure a network device (give it an IP address). BOOTP is the basis for a more advanced network management protocol, the Dynamic Host Configuration Protocol (DHCP). A specification for communication between a web server and other (CGI) programs. For example, a HTML page that contains a form might use a CGI program to process the form data once it is submitted. CIF refers to the analog video resolutions 352x288 pixels (PAL) and 352x240 pixels (NTSC). See also Resolution. Client/server describes the relationship between two computer programs in which one program, the client, makes a service request from another program, the server, which fulfils the request. Typically, multiple client programs share the services of a common server program. A web browser is a client program that requests services (the sending of web pages or files) from a web server. Coaxial cable is the standard means of transmitting analog video in a CCTV system. Coaxial is also used by cable companies to distribute television in residential buildings. A type of video signal in which the red, blue and green signals (sometimes audio signals too) are mixed together. Defines the degree of difference between the lightest and darkest parts of an image or video stream. If a CCTV system has more than one camera, there must be a way to control the video signals going to recorders and monitors. There are three basic types of Video Control Unit: Multiplexer, Switch and Quad. One of thermal cameras’ primary tasks is to detect intruders at long distances. To specify a cameras’ detection range―the distance at which the camera can detect an object in perfect conditions―Axis uses the Johnson’s criteria. 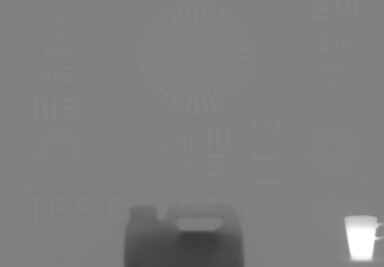 At least 1.5 pixels are needed for detection (when the observer can see that an object is present). At least 6 pixels are needed for recognition (when the observer can distinguish the object, for example, a person in front of a fence). At least 12 pixels are needed for identification (when the observer can distinguish an object and object characteristics, for example, a person holding a crowbar in his hand). Johnson’s criteria were developed under the assumption that visible information is processed by a human observer. If information is instead processed by an application algorithm, there will be specific requirements about the number of pixels needed on the target for reliable operation. All video analytics software algorithms need to work with a certain number of pixels, but the exact number of pixels may vary. Even if a human observer is able to detect the object, the application algorithm often needs a larger number of pixels at a given detection range to work properly. DHCP is a protocol that lets network administrators automate and centrally manage the assignment of Internet Protocol (IP) addresses to network devices in a network. DHCP uses the concept of a "lease" or amount of time that a given IP address will be valid for a computer. The lease time can vary, depending on how long a user is likely to require the network connection at a particular location. DHCP also supports static addresses for e.g. computers running web servers, which need a permanent IP address. DNS is used to locate and translate Internet domain names into IP (Internet Protocol) addresses. A domain name is a meaningful and easy-to-remember name for an Internet address. For example the domain name www.example.com is much easier to remember than 192.0.34.166. The translation tables for domain names are contained in Domain name servers. Domains can also be used by organizations that wish to centralize the management of their (Windows) computers. Each user within a domain has an account that usually allows them to log in to and use any computer in the domain, although restrictions may also apply. The domain server is the server that authenticates the users on the network. Outside the visible range of light, we find infrared (IR) and ultraviolet (UV) light, which cannot be detected by the human eye. Visual camera sensors can detect some near-infrared (NIR) light, from 700 nanometers up to about 1,000 nanometers. If such light is not filtered out, it can distort image color. Therefore, a visual camera is equipped with a filter―an optical piece of glass placed between the lens and the image sensor. This IR blocking is commonly called an IR-cut filter; it filters out near-IR light and delivers the same color interpretations that the human eye produces. The IR-cut filter can be removed to extend a visual camera’s ability, in order to produce quality images in low-light or dark situations. This allows a camera’s image sensor to use the near-infrared light to deliver high-quality, black-and-white images. Cameras with the ability to make use of near-infrared light are often marketed as day-and-night cameras or IR-sensitive cameras. This does not mean that such cameras produce heat-sensitive infrared images. Infrared images require true infrared cameras that are specialized at detecting long-wave infrared (LWIR) light (heat) that radiates from both living and non-living objects. In infrared images, warmer objects (such as people and animals) stand out from typically cooler backgrounds. True infrared cameras are called thermal cameras. Like all cameras, a thermal or temperature alarm camera collects electromagnetic radiation, which is transformed into an image. But while a conventional camera works in the range of visible light (with wavelengths between approximately 400 and 700 nanometers/[0.4–0.7 μm]), a thermal camera is designed to detect radiation with longer wavelengths. Thermal cameras typically work in either the Mid-Wavelength IR (MWIR) domain (approximately 3-5 µm) or in the Long-Wavelength IR (LWIR) domain (approximately 8-14 µm). The uncooled microbolometer sensors used at Axis (and almost all microbolometer sensors) work in the LWIR spectrum, typically defined as between 8-14 µm. This is also the wavelength region where living objects (such as humans) have their peak on their Planck curve, which is one reason thermal cameras are so good at detecting humans. All objects with a temperature above absolute zero (0 Kelvin [0 K or 273 °C or 459 °F]) emit infrared radiation. Even cold objects, such as ice, emit infrared radiation as long as their temperature is above -273 °C. The hotter an object is, the more thermal radiation it will emit. The greater the temperature difference between an object and its surroundings, the clearer the thermal images will be. However, the contrast of a thermal image doesn’t only depend on the temperature; it also depends on the emissivity of the object. The emissivity (e) of a material is a measure of its ability to absorb and emit radiant thermal energy. The emissivity is highly dependent on material properties, such as thermal conductivity (a measure of how well a material conducts heat). All radiation absorbed by a surface must eventually be emitted from that surface. All materials have an emissivity between 0 and 1. A so-called ‘black body’ absorbs all incident radiation and has an e=1, whereas a more reflective material has a lower e. Most materials―such as wood, concrete, stone, human skin and vegetation―have high emissivity (0.9 or higher) in the LWIR region. By contrast, most metals have a low emissivity (0.6 or lower) depending on their surface finish; the shinier the surface, the lower the emissivity. Thermal radiation that is not absorbed by a material will be reflected. The higher the reflected energy, the higher the risk of misinterpreted measurement results. To avoid erroneous readings, it’s important to select the camera’s measurement angle so that reflections are minimized. If a material generally behaves like a mirror in the visual spectrum, it usually behaves like a mirror in the LWIR region as well. Such a material may be difficult to monitor, as the temperature reading may be influenced by other objects reflected in the monitored object. In general, Axis temperature alarm cameras work best with objects having a high emissivity (above 0.9), but objects with a lower emissivity (above 0.5) may be considered, if the measurement setup is carefully chosen. To be considered false alarms can occur if, e.g. an alarm zone is defined around an entrance or glass door and a passing person is reflected in it. This reflection is enough to trigger the alarm. Similar case may occur with reflections in water or from puddles. The ETRAX chip is the cornerstone of Axis technology and the 'brain' in nearly all Axis products. A multipurpose Linux chip with integrated Ethernet networking and extremely flexible I/O options. To optimize a thermal camera’s detection performance, it’s important to set the exposure zone setting correctly, depending on the scene. It’s not advantageous to calculate the histogram on the whole scene if the whole scene isn’t interesting for the application. This will risk color levels being distributed on objects that aren’t interesting. To solve this, the exposure zone setting must be set to the area of interest. The exposure zone means that the camera only optimizes the image for the defined region of interest and ignores other parts of the image, even if that means that they will completely disappear. This is extremely important and can greatly affect the camera’s detection performance, even if the image as a whole looks good. These are the settings that originally applied for a device when it was first delivered from the factory. If it should become necessary to reset a device to its factory default settings, this will, for many devices, completely reset any settings that were changed by the user. A firewall works as a barrier between networks, e.g. between a Local Area Network and the Internet. The firewall ensures that only authorized users are allowed to access the one network from the other. A firewall can be software running on a computer, or it can be a standalone hardware device. In indoor environments where light levels may be constant, a fixed iris lens can be used. With fixed iris lenses, the iris opening cannot be adjusted and is fixed at a certain f-number. The camera can compensate for changes in the level of light by adjusting the exposure time or using gain. Measured in millimeters, the focal length of a camera lens determines the width of the horizontal field of view, which in turn is measured in degrees. FTP is an application protocol that uses the TCP/IP protocols, used to exchange files between computers/devices on networks. RS-170 and CCIR formats, a frame is made up of two separate fields of 262.5 or 312.5 lines interlaced at 60 or 50 Hz to form a complete frame, which appears at 30 or 25 Hz. In video cameras with a progressive scan, each frame is scanned line-by-line and not interlaced; most are also displayed at 30 and 25 Hz. Gain is the amplification factor and the extent to which an analog amplifier boosts the strength of a signal. Amplification factors are usually expressed in terms of power. The decibel (dB) is the most common way of quantifying the gain of an amplifier. A gateway is a point in a network that acts as an entry point to another network. In a corporate network for example, a computer server acting as a gateway often also acts as a proxy server and a firewall server. A gateway is often associated with both a router, which knows where to direct a given packet of data that arrives at the gateway, and a switch, which furnishes the actual path in and out of the gateway for a given packet. GIF is one of the most common file formats used for images in web pages. There are two versions of the format, 87a and 89a. Version 89a supports animations, i.e. a short sequence of images within a single GIF file. A GIF89a can also be specified for interlaced presentation. A group of VOP’s is the basic unit of an H.264 video stream. The GOV contains different types and numbers of VOP’s (I-VOP’s, P-VOP’s, etc) as determined by the GOV length and GOV structure. See also VOP. The GOV length determines the number of images (VOP’s) in the GOV structure. See also GOV and VOP. The GOV structure describes the composition of an H.264 video stream, as regards the type of images (I-VOP’s or P-VOP’s) included in the stream, and their internal order. See also GOV and VOP. Also known as MPEG-4 Part 10. This is the new generation compression standard for digital video. H.264 offers higher video resolution than Motion JPEG or MPEG-4 at the same bit rate and bandwidth, or the same quality video at a lower bit rate. HTML is the set of "markup" symbols or codes inserted in a file intended for display in web browser. The markup tells the browser how to display the page's words and images for the user. HTTP is the set of rules for exchanging files (text, graphic images, sound, video, and other multimedia files) on the web. The HTTP protocol runs on top of the TCP/IP suite of protocols. HTTPS is a web protocol used by browsers and web servers to encrypt and decrypt user page requests and the pages returned by the server. The encrypted exchange of information is governed by the use of an HTTPS certificate (issued by a Certificate Authority), which guarantees the authenticity of the server. ﻿In particular, and without limitation, some Axis products include software developed by the OpenSSL Project for use in the OpenSSL Toolkit (http://www.openssl.org/), and cryptographic software written by Eric Young (eay@cryptsoft.com). A (network) hub is used to connect multiple devices to the network. The hub transmits all data to all devices connected to it, whereas a switch will only transmit the data to the device it is specifically intended for. In particular, and without limitation, some Axis products include software developed by the OpenSSL Project for use in the OpenSSL Toolkit (http://www.openssl.org/), and cryptographic software written by Eric Young (eay@cryptsoft.com). The Internet Protocol is a method transmitting data over a network. Data to be sent is divided into individual and completely independent “packets.” Each computer (or host) on the Internet has at least one address that uniquely identifies it from all others, and each data packet contains both the sender's address and the receiver's address. The Internet Protocol ensures that the data packets all arrive at the intended address. As IP is a connectionless protocol, which means that there is no established connection between the communication end-points, packets can be sent via different routes and do not need to arrive at the destination in the correct order. Once the data packets have arrived at the correct destination, another protocol - Transmission Control Protocol (TCP) – puts them in the right order. See also TCP. An IP address is simply an address on an IP network used by a computer/device connected to that network. IP addresses allow all the connected computers/devices to find each other and to pass data back and forth. To avoid conflicts, each IP address on any given network must be unique. An IP address can be assigned as fixed, so that it does not change, or it can be assigned dynamically (and automatically) by DHCP. An IP address consists of four groups (or quads) of decimal digits separated by periods, e.g. 130.5.5.25. Different parts of the address represent different things. Some part will represent the network number or address, and some other part will represent the local machine address. See also IP (Internet Protocol). The terms IP camera, network camera and Internet camera all refer to the same thing - a camera and computer combined in one unit. It operates as stand-alone unit and only requires a connection to the network. Read more: What is a network camera? Infrared radiation is radiation at a longer wavelength than visible light, which means it cannot be seen by the naked human eye. As infrared radiation can be detected as heat, this can be shown on a screen or captured by a digital camera, with hotter objects showing up brighter against colder surroundings (e.g. a human body against a colder background). As color cameras can “see” infrared radiation as well as visible light, these cameras are equipped with an IR-cut filter, to prevent distortion of the colors the human eye can see. To use the camera in very dark locations or at night, this filter can be removed, to allow infrared radiation to hit the image sensor and thus produce images. An infrared lamp can be used for improved illumination for night surveillance, whilst not producing any extra visible light. The digital I/Os on, for example, a network camera can be used to connect any device that can toggle between an open and a closed circuit. If, for example, a door switch is used as an input device, opening the door could trigger the upload of video images and the sending of notification messages. An output might, for example, be used to automatically start a siren when there is a motion detection trigger. An uncooled microbolometer sensor pixel measures resistance change. When the resistance changes, the current also changes. By using a specific readout circuit (ROC or ROIC) that includes a current-to-voltage converter, a voltage change can be measured. The current change is integrated, and after a certain integration time the signal voltage change is available as output. This sensor integration time depends on both the refresh rate (frame rate) and the number of pixels. The pixels of a row or a column (depending on sensor and ROIC construction) are read out simultaneously. Therefore, the maximum integration time of a microbolometer sensor must be less than the ratio between the frame time and the row/column number. Together with the GIF file format, JPEG is an image file type commonly used on the web. A JPEG image is a bitmap, and usually has the file extension ‘.jpg’ or “.jpeg.” When creating a JPEG image, it is possible to configure the level of compression to use. As the lowest compression (i.e. the highest quality) results in the largest file, there is a trade-off between image quality and file size. A measure of the bit rate, i.e. the rate at which bits are passing a given point. See also Bit rate. A LAN is a group of computers and associated devices that typically share common resources within a limited geographical area. Defining the field of view―both how much of a scene and the level of detail to be captured. Controlling the amount of light passing through to the image sensor, so that an image is correctly exposed. Focusing is done by adjusting either elements within the lens assembly or the distance between the lens assembly and the image sensor. There are several material properties of a camera system, that are affected by the environmental thermal conditions. Due to these effects, optical systems will change their focus when the temperature changes. More precisely, the optical system can defocus when the temperature changes. As security cameras are usually deployed in environments with large temperature fluctuations, it’s important that the optical system is not sensitive to the environment’s thermal changes. This is especially critical in the infrared wavelength region. Passive athermalized optical system design is therefore a necessity for thermal camera security applications. Matching lens material with optical housing material is one example of passive athermalized lens design. Depending on the complexity of the optical system, there are of course many passive athermalization optical-system designs. Linux is an open source operating system within the Unix family. Because of its robustness and availability, Linux has won popularity in the open source community and among commercial application developers. A standard unit of illumination measurement. A MAC address is a unique identifier associated with a piece of networking equipment, or more specifically, its interface with the network. For example, the network card in a computer has its own MAC address. This is the opposite of an autoiris, i.e. the camera iris must be adjusted manually to regulate the amount of light allowed to reach the image sensor. A measure of the bit rate, i.e. the rate at which bits are passing a given point. Commonly used to give the “speed” of a network. A LAN might run at 10 or 100 Mbit/s. See also Bit rate. While there are several types of microbolometers, two main types of uncooled microbolometers are VOx and a-Si. Using one or the other doesn’t affect the thermal imaging. Each microbolometer constitutes a pixel. The smallest amount of light needed for the camera to produce an image of useable quality. Minimum illumination is presented in lux (lx), which is a measure of illuminance. In general, provided it is not overexposed, the image will be better the more light that is available in the scene. If the amount of light is insufficient, the image will be noisy or dark. The amount of light that is required to produce a good-quality image depends on the camera and how sensitive to light it is. A monitor is very similar to a standard television set, but lacks the electronics to pick up regular television signals. Motion JPEG is a simple compression/decompression technique for network video. Latency is low and image quality is guaranteed, regardless of movement or complexity of the image. Image quality is controlled by adjusting the compression level, which in turn provides control over the file size, and thereby the bit rate. MPEG-4 is a group of audio and video coding standards and related technology. The primary uses for the MPEG-4 standard are web (streaming media) and CD distribution, conversational (videophone), and broadcast television. Bandwidth-conserving technology that reduces bandwidth usage by simultaneously delivering a single stream of information to multiple network recipients. See also Unicast. A multiplexer is a high-speed switch that provides full-screen images from up to 16 analog cameras. Multiplexers can playback everything that happened on any one camera with no interference from the other cameras on the system. Noise Equivalent Temperature Difference (NETD) is the most common measure of classifying the performance of a thermal sensor. NETD defines the noise threshold where objects with temperature difference below that value will disappear in the noise, and objects with differences above that value will be visible. The smaller the NETD, the better. For example, if a sensor has a NETD of 50 mK, it means that a difference in temperatures below 50 mK will disappear in the sensors noise and cannot be seen. However, NETD has two big drawbacks. First, there are a couple of different ways to calculate NETD that don’t always yield the same result; NETD can also be calculated in different ambient temperatures and/or with different F-numbers, which yields different results. A second drawback is that specify NETD-values may not include spatial noise. This means that the NETD can be low even though the image is quite noisy. These factors are important to remember when NETD from different sensors are compared. It’s the most common value used to compare sensors, but it doesn’t tell the whole story. It’s also important to remember that while NETD is mainly a method to compare sensors, it’s often used to compare cameras. This is even more difficult since so many other factors can affect the actual performance of the camera. For example, NETD does not take into consideration how well a camera is in focus; a camera out-of-focus can still get a good NETD-value. In conclusion, NETD is a signal-to-noise measurement for thermal sensors. The smaller the better, but it’s important to remember that it can be difficult to compare only NETD when comparing camera performance. The physical (wired or wireless) and logical (protocol) connection of a computer network or an individual device to a network, such as the Internet or a LAN. NTSC is an analog color encoding system used in television systems in Japan, the United States and other parts of the Americas. NTSC defines the video signal using 525 TV lines per frame, at a refresh rate equal to 30 frames per second. See also PAL. Uncooled microbolometer sensors usually have large non-uniformities due to fabrication variations. This means that two non-uniform pixels would represent temperature information differently. They are also very sensitive to changes in ambient conditions and when temperature changes noise is induced. This depicts itself as a spatial variation over the sensor for both offset and responsivity. In addition, there are also differences due to the optical imaging, e.g. different fields of view of the pixels. All these differences need to be corrected so the outgoing signal for a homogenous incoming signal is as uniform as possible. The common name for such a smoothing algorithm is non-uniform correction (NUC). One way of correcting some non-uniformities, is to use a movable mechanical shutter, found between sensor and optics. Depending on the characteristics of the camera system, this shutter is conditionally moved to block the entire field of view, and an image is taken. The shutter image that is taken is then included in the NUC algorithm for removing this induced noise. The conditions for when a shutter image should be taken varies from algorithm to algorithm, and camera system to camera system, but it’s often controlled by an internal temperature sensor and/or a timer. This image correction is always done at runtime, including freezing the image. This is a designation for companies that manufacture equipment that is then marketed and sold to other companies under their own names. PAL is an analog color encoding system used in television systems in Europe and in many other parts of the world. PAL defines the video signal using 625 TV lines per frame, at a refresh rate equal to 25 frames per second. See also NTSC. An early standard for securing electronic mail. The PEM-format is often used for representing an HTTPS certificate or certificate request. Ping is a basic network program used diagnostically to check the status of a network host or device. Ping can be used to see if a particular network address (IP address or host name) is occupied or not, or if the host at that address is responding normally. Ping can be run from e.g. the Windows Command prompt or the command line in Unix. A pixel is one of the many tiny dots that make up a digital image. The color and intensity of each pixel represents a tiny area of the complete image. Pixel pitch is the distance between the centers of the pixel. Smaller pixel pitch means smaller sensor size for the same resolution, so that smaller optics can be used. This is especially important for thermal cameras, since the most common lens material (germanium) for thermal cameras is very expensive. The drawback for smaller pixels is that less energy reaches the pixel. Theoretically, larger pixels will receive more energy but in the end, the performance of the sensor depends a lot on the design of the pixel. A protocol that uses a serial interface for communication between two network devices. For example, a PC connected by a phone line to a server. A protocol that allows corporations to extend their own corporate network through private "tunnels" over the public Internet. In this way a corporation can effectively use a WAN (Wide Area Network) as a large single LAN (Local Area Network). This kind of interconnection is known as a virtual private network (VPN). The images from immediately before and after an alarm. These images are stored in a buffer for later retrieval. 3D privacy masking is supported in most Axis PTZ dome cameras. It enables selected areas of a scene to be blocked or masked from viewing and recording. It allows masking to be maintained even as the camera’s field of view changes through panning, tilting and zooming as the masking moves with the camera’s coordinate system. Progressive scan, as opposed to interlaced video, scans the entire picture, line by line every sixteenth of a second. In other words, captured images are not split into separate fields as in interlaced scanning. A special set of rules governing how two entities will communicate. Protocols are found at many levels of communication, and there are hardware protocols and software protocols. In an enterprise that uses the Internet, a proxy server acts as an intermediary between a workstation user and the Internet. This provides security, administrative control, and a caching service. Any proxy server associated with a gateway server, or part of a gateway server, effectively separates the enterprise network from the outside network and the local firewall. It is the firewall server that protects the enterprise network from outside intrusion. A proxy server receives requests for Internet services (such as web page requests) from many users. If the proxy server is also a cache server, it looks in its local cache of previously downloaded web pages. If it finds the page, it is returned to the user without forwarding the request to the Internet. If the page is not in the cache, the proxy server, acting as a client on behalf of the user, uses one of its own IP addresses to request the page from another server over the Internet. When the requested page is returned, the proxy server forwards it to the user that originally requested it. A Quad view displays images from up to four cameras on a single screen; where the images from each camera take up approximately a quarter of the display area. Image resolution is a measure of how much detail a digital image can hold: the greater the resolution, the greater the level of detail. Resolution can be specified as the number of pixel-columns (width) by the number of pixel-rows (height), e.g. 320x240. RS-232 is a long-established standard that describes the physical interface and protocol for low-speed serial data communication between devices. This is the interface that e.g. a computer uses to talk to and exchange data with a modem and other serial devices. RS-422 is a serial data communication protocol that specifies 4-wire, full-duplex, differential line, multi-drop communications. It provides balanced data transmission with unidirectional/non-reversible, terminated or non-terminated transmission lines. RS-422 does not allow multiple drivers, only multiple receivers. Maximum recommended range is 4,000 feet (1200 meters). Maximum recommended baud rate is 10Mbit/s. RS-485 is an upgraded version of RS-422 that supports up to 32 devices on the same connection. RS-485 is an electrical specification of a two-wire, half-duplex, multipoint serial connection. It enables the configuration of inexpensive local networks and multidrop communications links. It offers high data transmission speeds (up to 10Mbit/s), and as it uses a differential balanced line over twisted pair (like RS-422), it can span relatively large distances (4000 feet or 1200 meters). RS-485 only specifies the electrical characteristics of the driver and the receiver. It does not specify or recommend any data protocol. RTCP provides support for real-time conferencing of groups of any size within an intranet. This support includes source identification and support for gateways like audio and video bridges as well as multicast-to-unicast translators. It offers quality-of-service feedback from receivers to the multicast group as well as support for the synchronization of different media streams. RTP is an Internet protocol for the transport of real-time data, e.g. audio and video. It can be used for media-on-demand as well as interactive services such as Internet telephony. RTSP is a control protocol, and a starting point for negotiating transports such as RTP, multicast and Unicast, and for negotiating codecs. RTSP can be considered a “remote control” for controlling the media stream delivered by a media server. RTSP servers typically use RTP as the protocol for the actual transport of audio/video data. A device that determines the next network point to which a packet should be forwarded on its way to its final destination. A router creates and/or maintains a special routing table that stores information on how best to reach certain destinations. A router is sometimes included as part of a network switch. See also Switch. In general, a server is a computer program that provides services to other computer programs in the same or other computers. A computer running a server program is also frequently referred to as a server. In practice, the server may contain any number of server and client programs. A web server is the computer program that supplies the requested HTML pages or files to the client (browser). This is the control of fine detail within a picture. This feature was originally introduced into color TV sets that used notch filter decoders. This filter took away all high frequency detail in the black and white region of the picture. The sharpness control attempted to put some of that detail back in the picture. Sharpness controls are mostly superfluous in today’s high-end TVs. The only logical requirement for it nowadays is on a VHS machine. SMTP is used for sending and receiving e-mail. However, as it is “simple,” it is limited in its ability to queue messages at the receiving end, and is usually used with one of two other protocols, POP3 or IMAP. These other protocols allow the user to save messages in a server mailbox and download them periodically from the server. SMTP authentication is an extension of SMTP, whereby the client is required to log into the mail server before or during the sending of email. It can be used to allow legitimate users to send email while denying the service to unauthorized users, such as spammers. SNMP forms part of the Internet Protocol suite, as defined by the Internet Engineering Task Force. The protocol can support monitoring of network-attached devices for any conditions that warrant administrative attention. Sockets are a method for communication between a client program and a server program over a network. A socket is defined as "the endpoint in a connection." Sockets are created and used with a set of programming requests or "function calls" sometimes called the sockets application programming interface (API). These two protocols (SSL is succeeded by TLS) are cryptographic protocols that provide secure communication on a network. SSL is commonly used over HTTP to form HTTPS, as used e.g. on the Internet for electronic financial transactions. SSL uses public key certificates to verify the identity of the server. A subnet is an identifiably separate part of an organization's network. Typically, a subnet may represent all the machines at one geographic location, in one building, or on the same local area network (LAN). Having an organization's network divided into subnets allows it to be connected to the Internet with a single shared network address. The subnet mask is the part of the IP address that tells a network router how to find the subnet that the data packet should be delivered to. Using a subnet mask saves the router having to handle the entire 32-bit IP address; it simply looks at the bits selected by the mask. TCP is used along with the Internet Protocol (IP) to transmit data as packets between computers over the network. While IP takes care of the actual packet delivery, TCP keeps track of the individual packets that the communication (e.g. requested a web page file) is divided into, and, when all packets have arrived at their destination, it reassembles them to re-form the complete file. TCP is a connection-oriented protocol, which means that a connection is established between the two end-points and is maintained until the data has been successfully exchanged between the communicating applications. Telnet is a simple method with which to access another network device, e.g. a computer. The HTTP protocol and the FTP protocols allow you to request specific files from remote computers, but do not allow you logon as a user of that computer. With Telnet, you log on as a regular user with whatever privileges you may have been granted for specific applications and data residing on that computer. There are two main types of thermal sensors available on the market: cooled and uncooled. Cooled sensors are high-end systems often found in military applications. They are expensive, and are available in different subtypes. While the performance of cooled sensors is widely superior to the uncooled sensors, the price difference makes the uncooled sensor the only viable option for the regular, non-military surveillance market. Cooled sensors also have another downside: the cooler needs to be maintained with a certain interval to maintain the same performance over time. The increased total-cost-of-ownership, for thermal cameras supporting cooled sensors, typically makes them too expensive for non-military applications. Uncooled sensors also come in different types but the most common type is the microbolometer thermal sensor. A microbolometer is basically a tiny resistor that changes resistance with temperature. By letting the incoming signal heat the microbolometer and then read out the resistance change compared to a “blind” microbolometer, a value for the incoming infrared radiation can be created. An image is created in an array of microbolometers pixels. Thermography (or thermal imaging) is a method where infrared radiation is converted to, and presented as, an image. Thermography is a very powerful tool for seeing heat differences in objects. If the thermal camera is calibrated, the thermal image can provide information on the object’s surface temperature. When measuring the temperature of a specific surface, the camera is influenced by many other parameters‒such as the absorption, the emission, the reflection, the transmission and how the surrounding objects radiate the heat. A method of defining resolutions in analog video. UDP is a communications protocol that offers limited service for exchanging data in a network that uses the Internet Protocol (IP). UDP is an alternative to the Transmission Control Protocol (TCP). The advantage of UDP is that it is not required to deliver all data and may drop network packets when there is e.g. network congestion. This is suitable for live video, as there is no point in re-transmitting old information that will not be displayed anyway. Communication between a single sender and a single receiver over a network. A new connection is established for each new user. See also Multicast. A set of computer network protocols that allows the automatic peer-to-peer detection of devices on the network. UPnP is promoted by the UPnP Forum. An "address" on the network. (Universal Serial Bus) A plug-and-play interface between a computer and peripheral devices (scanners, printers etc). A varifocal lens provides a wide range of focal lengths, as opposed to a lens with a fixed focal length, which only provides one. Video server. Read more: What is a video server? - An I-VOP is complete image frame. - A P-VOP codes the differences between images, as long as it is more efficient to do so. Otherwise it codes the whole image, which may also be a completely new image. Similar to a LAN, but on a larger geographical scale. A wireless LAN is a wireless local area network that uses radio waves as its carrier: where the network connections for end-users are wireless. The main network structure usually uses cables. A Web server is a program, which allows Web browsers to retrieve files from computers connected to the Internet. The Web server listens for requests from Web browsers and upon receiving a request for a file sends it back to the browser. The primary function of a Web server is to serve pages to other remote computers; consequently, it needs to be installed on a computer that is permanently connected to the Internet. It also controls access to the server whilst monitoring and logging server access statistics. Part of the Microsoft Windows NT Server, WINS manages the association of workstation names and locations with IP addresses, without the user or administrator having to be involved in each configuration change. This wireless encryption method uses a pre-shared key (PSK) for key management. Keys can usually be entered as manual hex values, as hexadecimal characters, or as a Passphrase. WPA-PSK provides a greater degree of security than WEP. A zoom lens can be moved (zoomed) to enlarge the view of an object to show more detail.